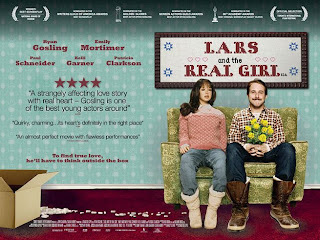 A guy falls in love with a doll, and that's it! That's the whole movie summed up. And yet, Lars and the Real girl is one of the most heart-wrenching love stories you'll ever see. I've watched it at least three times, and have actually gotten teary eyes every time. The fact that the makers of this movie managed to make something so silly, so incredibly moving, is testament to their outstanding talents, and reason to keep a look out for what they will produce in the future.